The Institute for Transnational Law (Institute) at The University of Texas School of Law as part of its vital work of transnational legal education is pleased to sponsor a fellowship program for new Texas Law J.D. graduates. This program, with funding from the MD Anderson Foundation, makes it possible for recent graduates to gain valuable work experience abroad or in the United States in the international legal, business, and public service arenas. These MD Anderson Fellows are part of an elite group of legal professionals. The present one-year fellowship being offered funds full-time work at the Permanent Court of Arbitration (PCA) in The Hague. The fellow will receive $45,000 ($3,750 per month for 12 months). This year’s fellowship is available only to Texas Law J.D. students graduating in December 2018, May 2019 or August 2019. The fellow is required to sign an agreement regarding fellowship obligations. The fellow will be chosen by the Institute in collaboration with the PCA based on the applicant’s writing and research skills, academic record, and interest in international arbitration, alternative dispute resolution, and/or international law. The ideal candidate will have excellent communication, organizational, and interpersonal skills. To date, PCA Fellows have assisted at hearings and carried out significant drafting and research assignments. The PCA’s diverse caseload has exposed them to maritime delimitation and land boundary disputes between States, environmental disputes, investor-State arbitrations under bilateral and multilateral treaties, and transnational contract disputes. Fellows have also been involved in arbitrator appointment procedures, publications, presentations, and monitoring multilateral negotiations. Fellows make valuable contacts in the field of international dispute resolution, thereby improving their prospects for careers in this area. They are also able to take advantage of various educational opportunities available at the PCA and other international organizations in The Hague. 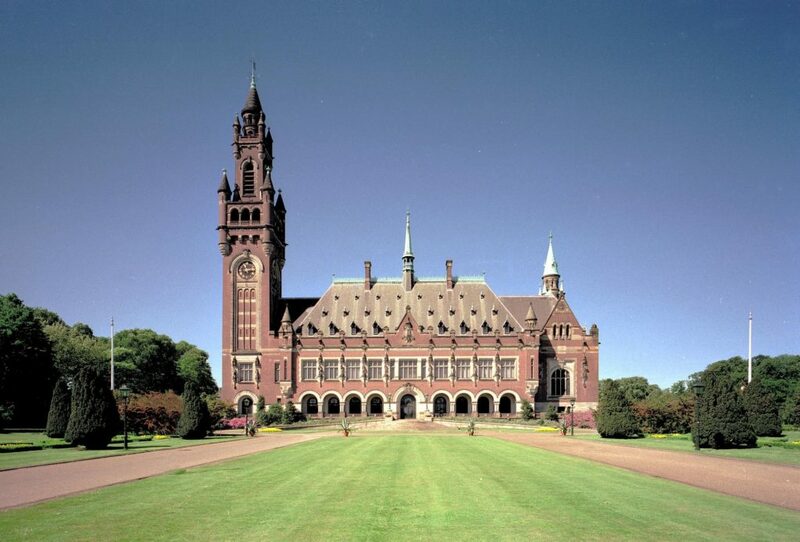 The successful applicant will work for a period of one year at the PCA’s International Bureau headquartered at the Peace Palace in The Hague and will be integrated as part of the PCA’s permanent staff under the title “Assistant Legal Counsel.” The starting date is usually September/October. The PCA Fellow is responsible for procuring their own housing and health insurance for the duration of the Fellowship. The PCA assists with the procurement of visas and assures that the participant is granted the same privileges and immunities accorded to PCA staff by the Dutch government. Applications are due by Monday, March 25, 2019 at noon. The fellowship recipient will be contacted by email the week of April 22nd. The Institute will host a fellowship presentation by Brooks Daly, the Deputy Secretary-General and Principal Legal Counsel of the PCA, at the Law School on Thursday, March 14th, from 12-1 pm. The event will be held in Townes Hall (TNH) 3.129. Mr. Daly will discuss the work of the PCA as well as the scope and purpose of the fellowship in greater detail and answer questions from applicants. Lunch will be served. Registration is required. RSVP here. To apply, submit the following materials by email in a single PDF document to Mauricio Pajón, the Institute’s Director of Programs & Development, at TransnationalLaw@law.utexas.edu. The fellowship program is administered by the Institute for Transnational Law. Questions should be directed to Mauricio Pajón at TransnationalLaw@law.utexas.edu.